Discover why the Benton Tea Tree Cleansing Water is a must-have solution for anyone with breakouts and sensitive or combination skin. The absolute best part of my job as a beauty writer is that I get to try new products all the time. The one, teeny, tiny downside is that sometimes my skin gets sick of playing skin care guinea pig and freaks out. This happened to me recently after incorporating new vitamin C and chemical exfoliator products into my routine at the same time. For the first few days of use my skin looked glowy and felt silky smooth, but then one morning I woke up to a smattering of breakouts and red splotches. To treat the breakouts without further irritating my skin, I needed a product that’s simple, gentle and effective, so I reached for the Benton Tea Tree Cleansing Water. It’s a best seller on Soko Glam because reviewers say that it clears and deep cleans the complexion without drying it out – just what my skin needed. The first things I noticed about the product are that it has no fragrance and that tea tree leaf water is listed as the very first, most concentrated ingredient, with tea tree leaf oil following shortly after. In fact, 70% of the simple formula is tea tree leaf water. If you haven’t yet experienced the wonders of tea tree leaf in skin care, allow me to fill you in. The ingredient is antibacterial and antiseptic, so it treats existing breakouts and helps prevent new pimples from forming. 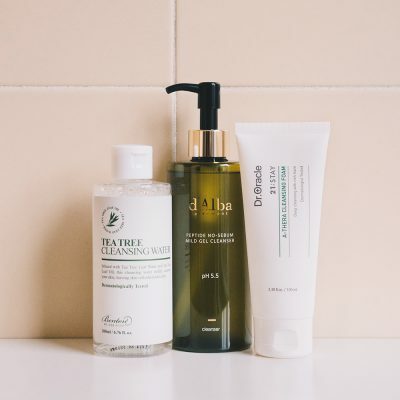 But unlike some acne-fighting ingredients that exacerbate dryness or skin sensitivities, tea tree leaf actually soothes inflammation and decreases redness. Ok, back to the product. I gave my vitamin C and acid combo a rest (I’ll be alternating these two in the future) and I started using the cleanser morning and night after my oil cleanser and before my toner (I’m loving The Plant Base Nature Solution Hydrating Bamboo Water right now). My skin feels slightly tingly immediately after application, but it diminishes quickly and doesn’t cause any unusual redness. 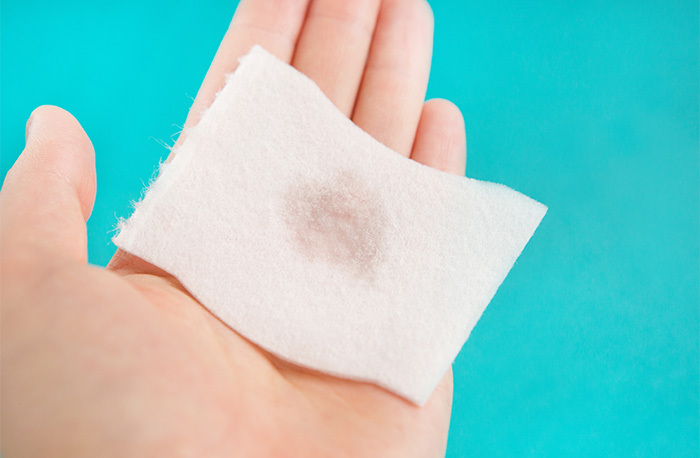 It also effectively removes makeup, dirt, and any other residue leftover from my oil cleanser (note, I don’t use it on my eyes since the area is extra sensitive). I started using it last Friday and in two days my red spots had flattened and become decidedly less red and any irritation I was experiencing was given the chance to calm down. By Monday, my skin looked considerably more clear and even and only one tiny area where one of the zits had lived was dry and a bit flaky. Because even the most mild acne treatments should be paired with nourishing products, I made sure to finish my routine with a hydrating serum and moisturizer (my go-to is the Belif The True Cream Aqua Bomb at the moment). I’ve long resisted face washes that target acne because I’m still scarred (figuratively, not literally) from the harsh formulas I used as a hormonal teen that seemed to just make things worse. But this one is nothing like those. Because I don’t have acne-prone skin, I’ll likely go back to my Erborian Micellar Cleansing Water for my everyday routine, but the second I feel a flare-up coming on? 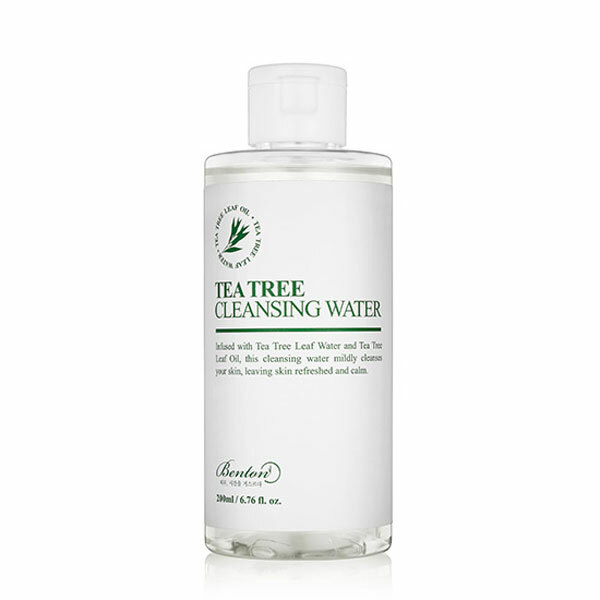 It’s the Benton Tea Tree Cleansing Water to the rescue. +What product would you like us to review next? Share in the comments below! Are Dissolving Microneedles the Next Big Thing in Skin Care?